France offers thousands of activities to travellers. Take a break on the Provençal nature trail shaded by linden trees, enjoy the lively atmosphere along Parisian boulevards, lounge on a Landres beach, challenge high alpine peaks, cycle through Burgundy vineyards, or visit the emblematic monuments of the country. The reasons to visit France are endless. Beyond its diverse landscapes, it has many other exciting faces. Its culture varies from one province to another; its culinary arts are refined and diverse, and historical monuments are found in every region. France fascinates with its many faces. Summer is warm and lively, whilst winter is crisp and charming. What are you waiting for? Pack your bags and vacation in France! Last Updated: April 16, 2019 9:18 ESTThe Health tab was updated - travel health notices (Public Health Agency of Canada). 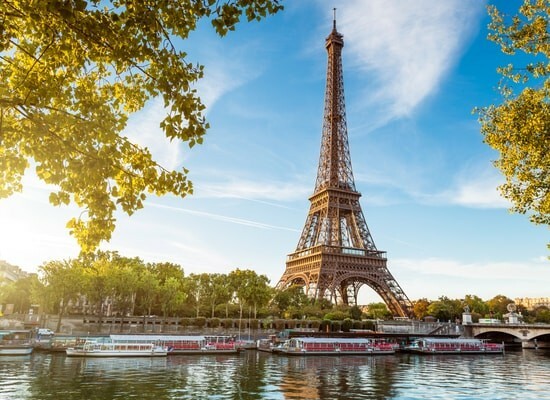 According to the World Health Organization, France is home to one of the best health systems in the world, including its emergency services, hospitalisation and medical care. You are assured to receive widely available quality and safe care which is akin to US standards. French residents and expatriates have access to the latest discoveries in medical treatment and are covered by health insurance for these services. Each institution, weather national or regional, private or public, is under the strict control of different institutions. Rest assured that it is easy to locate pharmacies in all French cities and that most of these are well supplied. To call emergency services, which operate quickly and efficiently, dial 112. Is France Safe for Travel? Only a passport is required to enter France for trips under 90 days. The passport must be valid for at least three months beyond the date of departure. Please note that France is a part of the Schengen area, which allows crossing its countries borders’ freely. However, all the countries within the Schengen Area are restrained to a cumulative stay of a maximum of 90 days per period of 180 days. Longer trips will require a visa.